Discussion on use of Kananaskis Country trails by groups of 15 or more people. 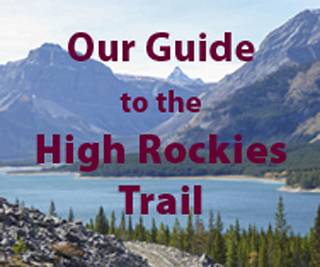 Issue of non-commercial outdoor clubs taking large groups into Kananaskis Country. The Freedom of the Hills? Roadside Geology book covering main highways in the Canadian Rockies including Kananaskis Country. Kananaskis Country has turned down the request of the Trail Users Group to open up the stretch of road between Gorge Creek and Volcano Ridge trailheads.